Registration is now open for the 13th North American Masonry Conference and TMS Spring Meeting, both of which will be held in June at the Salt Lake City Marriott City Center in Salt Lake City, UT, USA. TMS will conduct its spring business meetings, including the meetings of TMS 402/602, from June 14—16. The 13 NAMC will be held immediately after, June 16—19. With more than 150 papers from 20 countries submitted for the conference, this could be the largest and most heavily attended NAMC to date. Register by May 8th to receive the early registration discount. 13NAMC attendees can also register for the TMS Spring Meeting at no additional cost. Make your hotel reservations using this TMS/NAMC group rate link to ensure your accommodations at the host hotel. Use the link below to register for the Spring Meeting only. If you are also attending the 13NAMC, start your registration process using the link above to receive your free Spring Meeting registration. 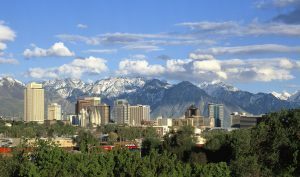 The 13th North American Masonry is hosted by Brigham Young University and is the latest in a series of quadrennial conferences sponsored by The Masonry Society. The conference will provide a forum to professionals from around the world for networking and sharing the latest advances in masonry knowledge and practice. The conference will feature tracks of interest to masonry researchers, designers, practitioners, educators, and building managers. Certificates of Attendance for conference sessions will be available for attendees.